Rihanna’s latest collaboration with MAC has seen the recent release of a Viva Glam lippie in her name, and it's just gorgeous. 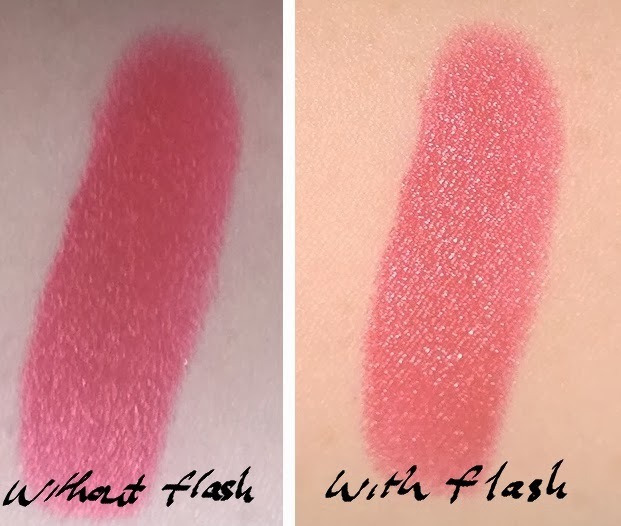 There are two released in the collection actually, one is a frost finish Lipstick, the other is Lipglass. As mentioned, it's a Frost finish but although Frosts from MAC usually don’t last/wear particularly all that well, this one does – I get from application to lunch (around four to five hours) out of this one before having to top it up, with just a bit of fading in that timeframe. In addition, it's a grown-up frost, it's not irritatingly glittery or gritty – "Frost" is more technically correct but I'd probably prefer "supercharged Metallic" if I were in charge of MAC's naming conventions :-). MAC describe this as a blue-based red "with frost"
I wasn't personally bothered with the Lipglass – I have lots of glosses and frankly, I usually prefer a creamier finish than a glossy one. In addition, this is bright and frosted enough (for me) not to need a gloss on top. If you zoom in and examine it, you’ll see that the campaign visual (top image) shows the lipstick being used at the edges, with the Lipglass being pushed over just the centre of the lips. 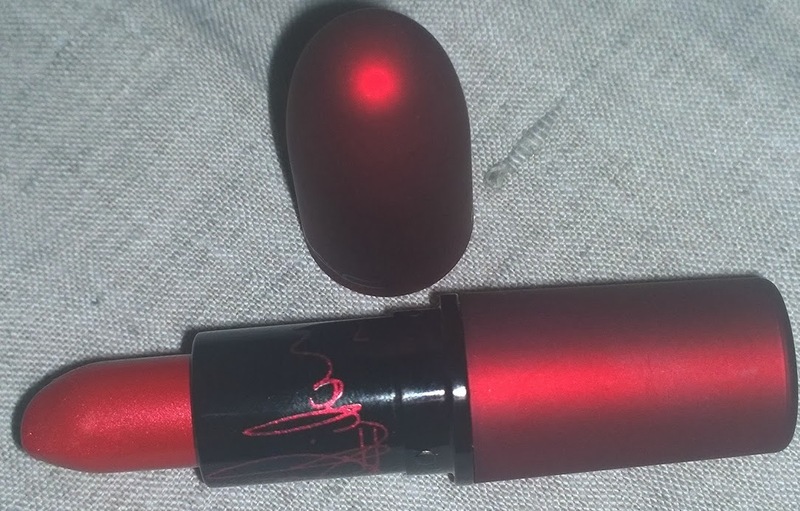 It really is as vibrant in the flesh as the visual describes, and it really does represent a "colour lift" compared to the darker reds I’ve been sporting for the last six months or so, and definitely way lighter than the last Viva Glam red lippie I bought. OK, I committed the sin of using it before photographing it! The packaging is also slightly different to the usual MAC lipstick packaging, it's a lush blackened-red tube instead of the usual black. Love it. Love it. Love it. Also love that (as most people will know), all proceeds (not just profits) of the sale of Viva Glam products, in perpetuity, goes towards MAC's Aids charity partner. So you can buy a lippie and know you’re helping out too! Do you need it? 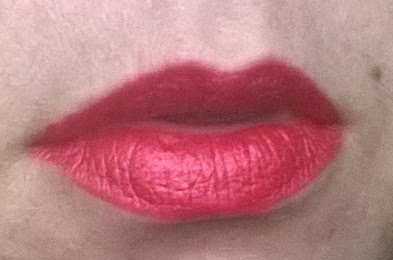 No such thing – but I can honestly say that red lipsticks make my mood improve and this one puts a spring in my step! Look here for more information. Some YouTube inspiration for the weekend!